The winemaking process at LAFOU is sustainable, in that it protects the environment as best it can by using mostly natural resources. Harvesting is carried out manually in 300 Kg boxes, in order to carefully select the best grapes. The winery is designed to handle small volumes separately; harvesting is carried out plot by plot to obtain the maximum expression of each plot. Open tanks are used and the grapes are treaded which avoids pumping over, and this guarantees a homogeneous extraction from the cap. The wines are aged in 300L oak barrels, as well as concrete egg vats with an end to obtaining the grapes’ purest expression. 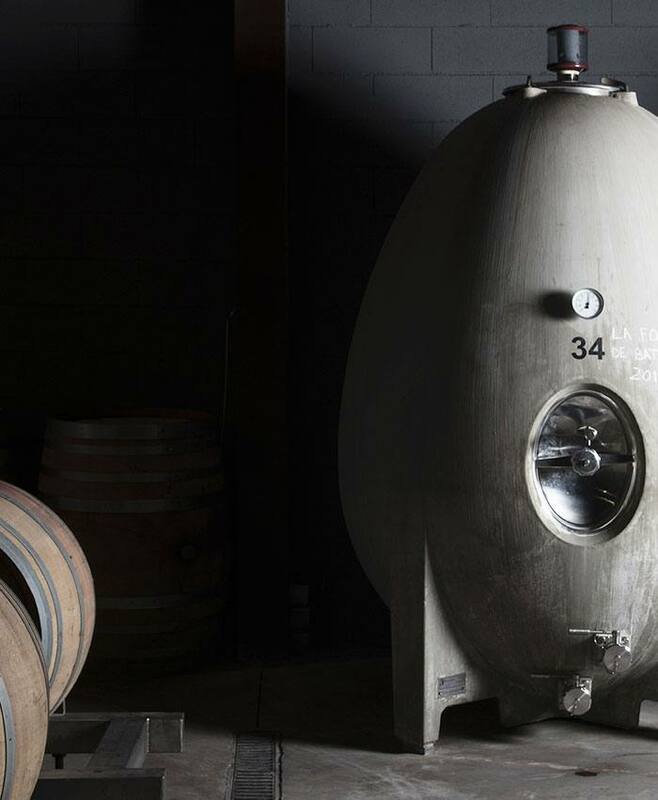 The concrete egg vats refine the wine, and are an alternative to wood; they bring out complexity as the movement of lees results in internal convection.